It’s hard to deny that PlayerUnknown’s Battlegrounds (PUBG) helped to get the Battle Royale genre to where it is today, but as more and more games of this genre enter the industry, the title is falling by the wayside. As with most games that are developed and released these days, it didn’t take long for a competitive community to form in PUBG. There isn’t just a single reason for PUBG’s gradual decline in popularity, but the boom of Fortnite and the slew of glitches & bugs in the game are undoubtedly major factors. It’s not just the player base of the game that’s dwindling, but the Twitch viewership is taking a hit over time too. For months, PUBG had over 1,000,000 hours watched on Twitch on a daily basis; things started taking a turn for the worse in September though, and it has gone downhill from there. It’s estimated that viewership, starting from October, has been anywhere from 400,000 to 700,000 in terms of hours watched on any single day. For many games, those numbers are still solid, but it’s a marked degradation for the game. Many gamers are quick to dub a title a “dead game” once its popularity starts to take a downward trend, but that’s simply not the case for PUBG if you look at the numbers. There’s still a good audience for the game, but what could help to bolster the statistics? Esports could well be the answer. There has been a lot of discussion – and there still is to this day – surrounding the validity of Battle Royale titles as legitimate esports, but July’s PUBG Global Invitational proved there was a hunger for the game in a competitive capacity. With over 10.8 million hours watched and a maximum concurrent viewership of over 575,000, it’s undeniable that people are interested in watching the game’s best players battle it out. From 2019, PUBG esports will have a unified, universal ruleset and infrastructure to support its competitive scene. If viewership from the PUBG Global Invitational can be replicated – or, at least, it’s proven that that wasn’t a one-off – then things still look positive for the game. 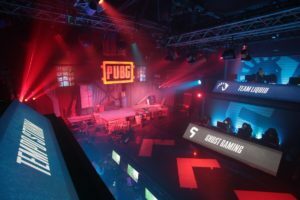 If PUBG Corp., and the third-party tournament organisers it’s working with, can silence the doubters about PUBG as an esport and prove the game can be played on a fair basis, then there’s a ton of potential to be capitalised on. Epic Games may have pledged $100 million for the 2018-2019 competitive season of Fortnite, but many believe that the game is simply not an esport as things stand. Call of Duty’s Battle Royale attempt, Blackout, has proven to be popular in the first two months of its launch, but there has been no competitive push for the title as things stand. The H1Z1 Pro League has come and gone after an unsuccessful inaugural split, and Realm Royale had a very short shelf life. This means there’s a big gap for a successful Battle Royale esport, and PUBG has been the most convincing showing yet of such a thing being possible. Falling in line with our theory that esports is the future of PUBG, developer PUBG Corp. is launching a competitive season for nine regions with six professional leagues. We recently published a piece that explains this whole initiative which you can read here. Perhaps to the game’s detriment on a casual basis, PUBG Corp. has prioritised its competitive scene over the freshness of its game. This isn’t anything new, however. Just look at the likes of Counter-Strike: Global Offensive. It receives minimal updates but it’s still a huge deal in terms of popularity and viewership. PUBG could well fall into the same category if its leagues prove to be the real deal, and that’s where the future of PUBG could well lay.